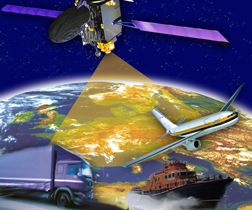 The second session of Training EGNOS GNSS in Africa (TREGA), "GNSS Systems and Applications" and "Service Provision, User Support and Promotion of EGNOS Use in Africa," will take place at the Abdus Salam International Centre for Theoretical Physics (ICTP) in Trieste, Italy beginning January 20, 2013. Attendance is open to participants from African or European countries. The application deadline is November 1, 2013.
training to address technical problems related to the conditions of Sub-Saharan Africa, making use of the testing platform/software simulator. Each session lasts several weeks and consists of an intense series of lectures on topics like space project management, GNSS and EGNOS technology, and legal and regulatory matters. TREGA is a joint project between the European Commission (EC) and ICTP. The previous session, “Space Projects Management” and “Legal and Regulatory Aspects”, was held in July and August, 2013.